Never send a Batman to do a Batwoman's job! Kate Kane, of the Gotham City Kanes, drops into the spotlight in the comic-inspired DC Gallery statue! 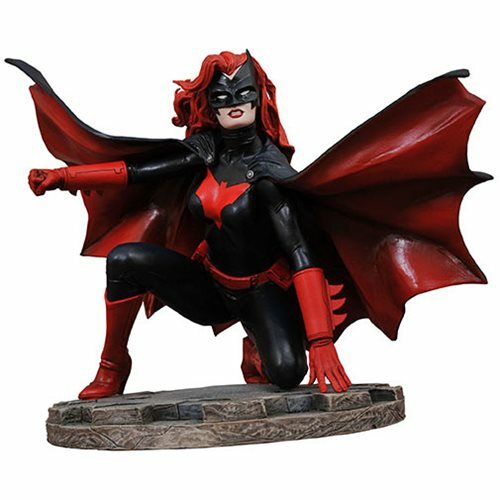 With her striking red hair and black costume, Batwoman is ready to leap into action in this approximately 8-inch tall sculpture. Made of high-quality vinyl with exacting paint details, it comes packaged in a full-color window box. Designed by Caesar and sculpted by Jean St. Jean!